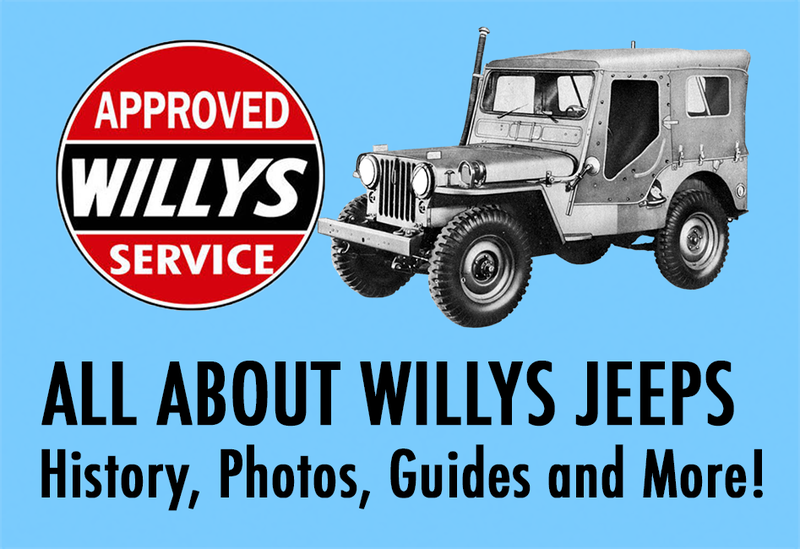 The Willys Jeep Station Wagon was introduced by Willys-Overland in 1946, the same year in which it introduced the Universal CJ Series. Arguably the first sport utility vehicle in the world to gain mass appeal, the Willys Station Wagon lineup had much to offer, with four wheel drive, easy maintenance, ample space for its passengers, and safety beyond what other “woodies” (wood-bodied station wagons) offered at the time. By comparison, the success of the Willys Station Wagon overshadowed that of many other models offered by Willys-Overland from 1946-1964. 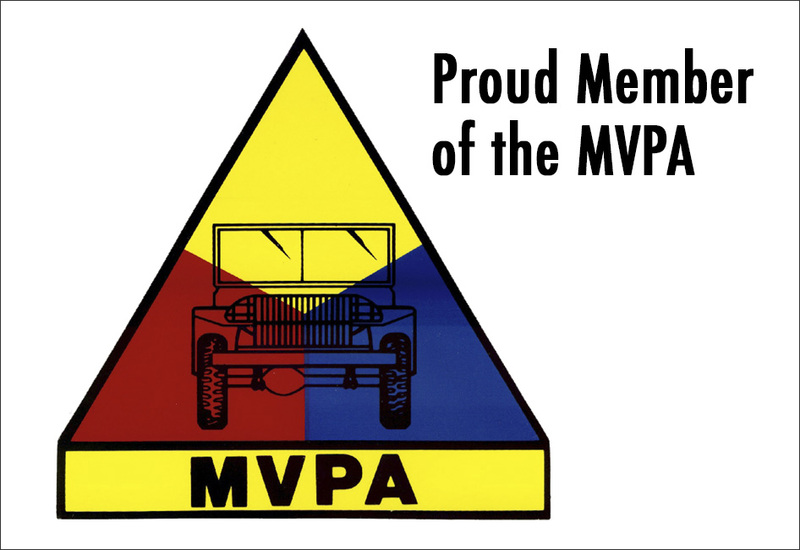 In 1946, James D. Mooney, president and board chairman of Willys-Overland Motors, announced the “introduction of a new jeep station wagon” describing it as a "people's car." Indeed, the new 2WD, all-steel station wagon boasted easy maintenance, safety and a seven-passenger capacity. Powered by the Go-Devil flathead, four cylinder engine, the 463 model was designed to compete with the “rear” wood wagons manufactured by Detroit’s Big Three. Designed by Brooks Stevens, the Willys Station Wagon’s steel body was extremely easy to mass produce, and was in fact, the first all-steel, factory-built station wagon in North America, initially fitted with the L-134 “Go-Devil” four cylinder engine (the same engine first used in the CJ Series). Seats were removable (with the exception of the drivers seat), making added cargo space optional for the post-war, increasingly more suburban consumer. The four wheel drive version (model 4x4-63) was introduced in 1949, and used the same body as the earlier 4x2 Utility Wagon (model 4-63). While the station wagon was very popular among civilians, it was also well-suited for military use, especially with regard to the four-wheel drive model. Rated as a 1/2 ton 4x4, the 4x2 Utility Wagon was touted in press releases at the time with claims that it could negotiate a 57% grade and reach 60 mph on surfaced roads. In 1950, the flat grille was modified to form a pointed “V” in the center, with 5 horizontal bars added to the 9 vertical ribs. Engine options changed in this year also with an F-134 Hurricane for the 473 model, and a new 161 cu in (2.6L) version of the Lightning six for the 673 model. In 1950, the Sedan Delivery version was introduced to the model lineup. In 1954, the four wheel drive models included the 6-226 Super Hurricane engine, a flathead inline six which produced 115 horsepower. In 1955, newly under the ownership of Kaiser (Willys Motors Incorporated), several new models were added to the lineup that would eventually include the commercial delivery formats (Sedan Delivery, Panel Delivery, Utility Delivery). Ultimately, the Willys Station Wagon was phased out in 1965 by the Jeep Wagoneer. Engines for the Willys Station Wagon: (1946-50) L4-134 Go-Devil, (1948-50) L6-148 Lightning, (1950-1965) F 4-134 Hurricane, (1950-1951) L6-161 Lightning, (1952-1954) F6-161 Hurricane, (1954-1962) L6-226 Super Hurricane, (1962-1965) 6-230 Tornado. Pop culture: In 1958, the Maverick model was introduced (the name was taken from the TV Show of which Willys was a sponsor, a comedy-western created by Roy Huggins and featuring James Garner, Jack Kelly, Roger Moore, and Robert Colbert. 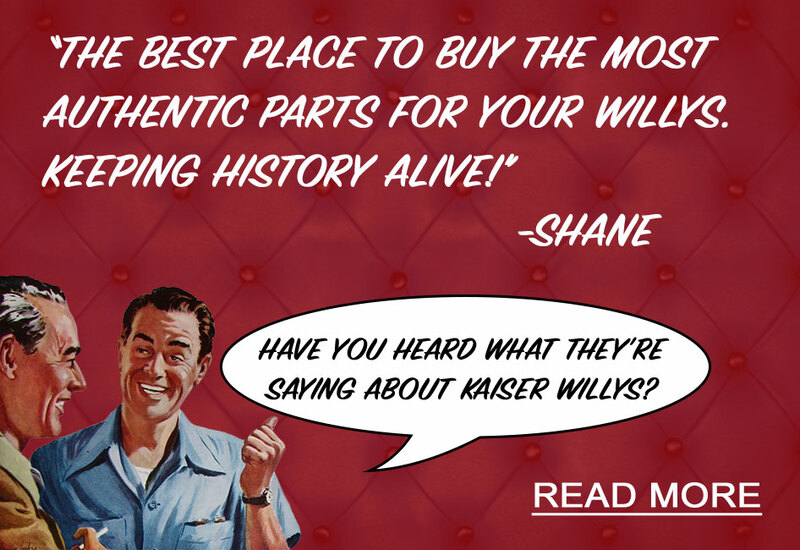 ***Kaiser Willys cannot guarantee 100% accuracy of the colors or paint codes presented in this guide. When selecting a color for your vehicle, use the codes above as a starting point or reference, and work with your local paint supplier to find a color that works best for your budget and intent. There are several paint suppliers such as Auto Color Library, or Sherwin Williams, who may be able to cross-reference some of the older paint codes for you to find a more current formula, or if you are able to pull a painted piece off of your restoration project, they may be able to scan the color for you in the store to find a close match.